If you’re a fan of western films and you’ve been dreaming of wearing cowboy boots all your life, then it’s time to pay a visit to the original cowboy states. The cowboy attitude is a little more than riding a horse through a deserted village until you hit the saloon door where you can finally rest and order a whisky on the rock. To the imagination, it takes no more than the right boots, the hat and a pair of old jeans to pull up a fancy cowboy costume. However, the wild west world has a lot of stories to tell. From typical western food to one of the most famous cowboys in history, dive into this universe of horse riding, barbecue cooking, and rodeo skills. For the time of a holiday, you might even feel like in a John Wayne’s western film. Start your trip in Texas, where everything has kept a taste of the wild west, from the magical landscapes to the typical Mexican-American food culture. For a taste of the original meat, head to Franklin’s BBQ in Austin where, if you’re happy to wait in line for a couple of hours, you can order a delicious brisket that will transport you to a cowboy campfire immediately! You can then join one of the local pool parties in natural springs. Jacob’s well is a swimming hole with an underwater well that would have washed many cowboy’s feet in the old days. If the water is too cold, try the welcoming Kraus springs. And conclude your stay with a night out in Austin to complete your wild west day. You will love Oklahoma city, as the to has a strong western and cowboy heritage! In fact, they even have a museum dedicated to the cowboy lifestyle not far from the Wyndham Oklahoma City hotel. You can get to see President Roosevelt’s saddle in the National Cowboy & Western Museum and discover that cowboys were still very present well into the 20th century. There is a strong culture of horse riding in town, and thanks to the State Fair Park that host many equestrian events throughout the year, you might even get to see a live horse show. You can hone your skills riding a mechanical bull in town. Finally, head to Wyoming, a state that is still strong about rodeo contests. If you feel confident enough, you can even put your name on the list to have a go at the Cody Stampede Rodeo, but you’ll soon find out that it’s much safer to watch and enjoy the show! The tradition of rodeo is very much anchored in the town of Cody, as it’s the birth town of the famous showman, Buffalo Bill. Colonel W.F. 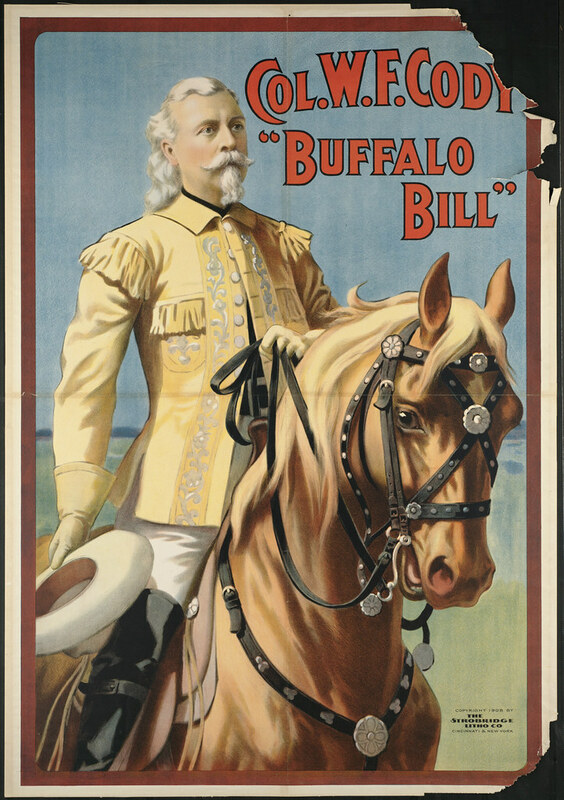 Cody rapidly earned the title ‘Buffalo Bill’, as a professional buffalo killer to provide meat for the railroad company. Cody has been and continues to be the image of the wild west: He has showman skills, he was a fearsome rider, and he joined a lot of short-lived jobs designed to conquer the wild areas. In short, put your boots on and explore what’s left of the wild west. Who knows? You may fall in love with the cowboy spirit.